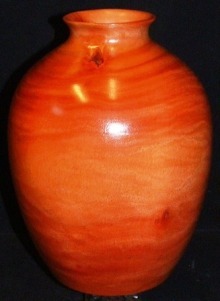 Red Gum Eucalyptus turning wood is light red to reddish brown in color. It darkens to a rich reddish brown in seasoning. The wood has an interlocked grain. This is a beautiful wood that takes a high polish. Eucalyptus is an excellent wood where an attractively figured, dark reddish-brown wood is desired. 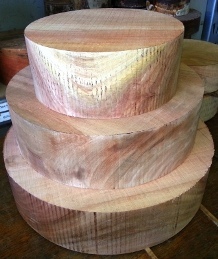 It is popular with wood turners.